Rep. Don Beyer (D-Va.) won the National Press Club’s “Politicians vs. Press” spelling bee on Wednesday night, narrowly ekeing out a victory over Karoun Demirjian of the Washington Post. 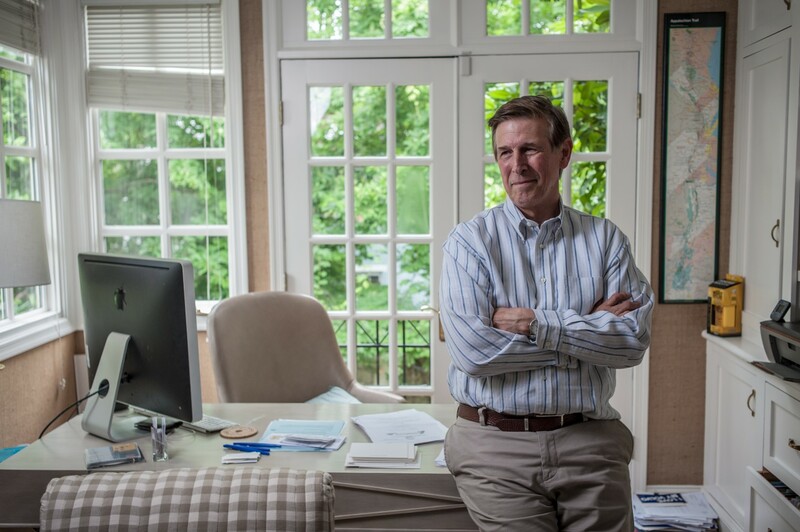 A bonus for Beyer: to win the Politicians vs. Press Bee, he didn’t have to square off against Sen. Chris Murphy ’96 or Washington Post writer Greg Jaffe ’91 to secure his spelling title, unlike in his 2014 election faceoff with Micah Edmond ’96. Venker’s speech is indeed posted at Foxnews.com, and it’s hard to fault her for being reluctant to reschedule after how this controversy unfolded. It’s asking a lot of Venker to check her pride at the door and speak now. That said, EphBlog believes Venker should accept the re-invitation. Sure, the cancellation and reinvitation is awkward, but it has an obvious upside. Presumably she believes that the message in her “Uncomfortable Learning” talk is an important one for Williams students in their too-often protected cocoon. In light of the cancellation controversy, exposure for her remarks (both at Williams and beyond) is likely to be much greater than it otherwise would have been. More listeners = more value. Her reason for not speaking seems particularly flimsy. Although it’s true that students can “see what [she] was going to say,” how many students is she really going to reach that way. Foxnews.com is hardly a must-read for college students — and voluntarily searching out “uncomfortable reading” isn’t generally the way of the Internet. If she thinks what she originally had to say was interesting and valuable for students to hear, she should go ahead and deliver the same speech – perhaps tweaked to include mention (or rebuke?) of the disinvitation. Nothing about this piece suggests that you learned something new about the invited speaker between the issuing of the invitation and the cancellation. Nothing I’ve read has suggested any coercement from any party – not other students, nor the administration, nor alumni. Nothing has provided evidence that anyone is being silenced here. If that did happen, then I will stand up and defend your freedom to invite controversial speakers, in good faith. On the contrary, your choice is the worst of all worlds – and displays bad faith. You do a disservice to the invited speaker by rendering her preparation useless with a last-minute change. You do a disservice to your fellow students by inviting a controversy about ideas than preventing them from being aired. You do a disservice to the College and its alumni community by being so vague in your messages to the speaker that you inspire misleading articles like this one: [Venker’s Foxnews.com column]. Slack cuts right to the heart of the issue, which bears on Venker’s decision as well. Unlike the “Uncomfortable Learning” organizers, Venker does have new information on which to decide. But EphBlog is hoping she’ll do the right thing, and gracefully accept. Jim Ganz (MA ’88) is familiar to a generation of Ephs as a longtime curator at the Clark, who helped build the Clark’s photography collection and helped Williams College expand the photography offerings in the Art History program. Ganz is now in San Francisco as a curator of the Fine Arts Museums (i.e. the Legion of Honor and the de Young), where his new exhibit, “Jewel City,” has just opened to favorable reviewsand will run through January 10, 2016. “Jewel City” revisits “one of the most ambitious art exhibitions ever presented in the United States, encompassing more than 11,000 paintings, sculptures, prints, and photographs,” which took place one hundred years ago in San Francisco as part of the Panama-Pacific International Exposition, a 1915 World’s Fair that marked the re-emergence of San Francisco following the devastating 1906 earthquake (much as the Chicago World’s Fair of 1893 did following that city’s Great Fire). We’re trying to recapture in a way the feeling of seeing the art of the fair, something of the visitors’ experience. Putting people in front of the same works of art 100 years later is going to be kind of amazing. 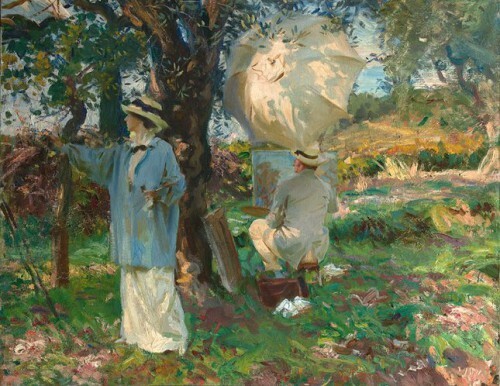 Included among the 200+ works Ganz has reassembled for the de Young are artists such as Mary Cassatt, Thomas Eakins, Edvard Munch, and John Singer Sargent (“The Sketchers,” pictured here). Another particularly notable item is 50-foot-long mural — one of six displayed at the exhibition — entitled “Atlantic and Pacific,” which hasn’t been displayed in the ensuing century. If you live in San Francisco or will be visiting anytime soon, put “Jewel City” on your cultural to-do list. First, Williams has probably bought more conservative/libertarian/traditional/non-liberal speakers to campus than any other liberal arts school in the last few years. Examples include: Casey Mulligan, Richard Sander, Ron Unz, Mike Needham ’04, Jonah Goldberg, Greg Lukianoff, Richard Vedder, KC Johnson and others. If you think Williams is “pathetic,” then you must believe that places like Amherst, Swarthmore and Pomona are absolutely hopeless. There is more intellectual diversity among public speakers at Williams than there is at any other liberal arts college and, perhaps, at any elite university. Second, Williams College as an institution (administration and faculty) had nothing to do with the cancellation. The College cares about its massive capital campaign. It does not care about who students invite to speak on campus and who they disinvite. Third, Uncomforable Learning, the student group behind the invitation/disinvitation, has done more to increase the range of public debate at its college than any other student group in the world. (Contrary opinions welcome.) Big shout-outs to some of its leaders, including Ben Fischberg ’14, David Gaines ’15, James Hitchcock ’15, Matthew Hennessy ’17, Didier Jean-Michel ’17 and Zach Wood ’18. They (with help from other students in the group) brought all those unusual speakers to Williams. No only that, but they also brought liberal/leftist speakers like Norman Finkelstein and Randall Kennedy. Unless you have done as much to improve the range of views presented at your university, you should be slow to criticize their efforts. Fourth, the decision to cancel was not unreasonable. I happen to disagree with it, but, if your goal is to expand political discussion at Williams, to encourage students to engage with unfamiliar views, then you ought to try to meet those students halfway. Instead of Venker — hardly the most subtle of thinkers — you would probably be better off bringing Wendy Shalit ’97, an alum whose critique of modern feminism is similar to Venker’s. Replacing Venker with Shalit might be the right call. Again, Williams needs more intellectual diversity, among its invited speakers, its faculty and its students. It needs more open dialogue and debate. It needs more “uncomfortable learning,” from all possible directions. Yet many of the criticisms over this decision seem poorly informed. 1) I like Zach Wood! I hope this controversy leads him to be more involved in the public life of the college. I have been told (accurately?) that he is not even a member of the vast right-wing conspiracy, Eph division. (Sorry Mike Needham ’04!) Instead, he is just a Williams student who, following in the legacy of Professor Robert Gaudino, believes in the importance of wide open dialogue and debate. 2) I like (and know) the two unnamed students mentioned by Zach above. (At least I think I do.) Both are wonderful Ephs, similarly committed to dialogue and debate. Both, in their roles with Uncomfortable Learning, have done more to bring alternative views to Williams than any other students or faculty or staff in the last year or two. Kudos to them! 3) I respect their judgment that, given their goals, cancelling was the best path. They could be right! But I also disagree with that judgment. We will have more coverage of this topic tomorrow, but here are some clarifications about the most widely covered Williams story of 2015. Correct. 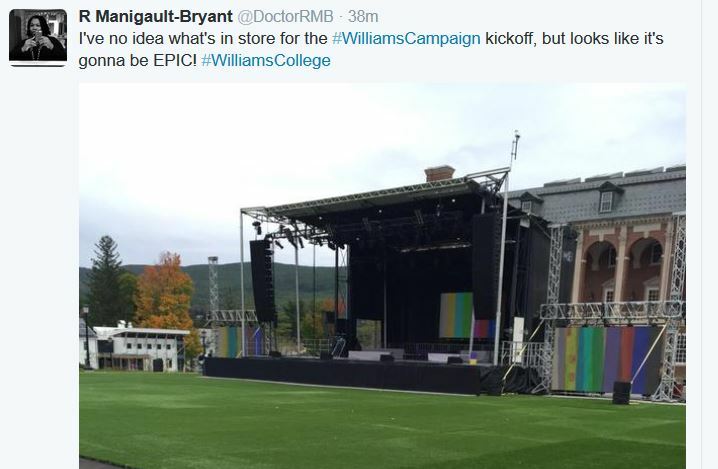 Despite the fantasies of the clueless weevils infesting Instapundit’s comment threads, Williams College barely cares about the speakers that its students invite. It, as an institution, cares about completing its $650 million capital campaign. That is what keeps Adam Falk awake at night, not the prospect of a visit from the Fox News junior varsity. With luck, Instapundit will correct his post. At America’s top liberal arts college, we should not settle for petty personal attacks, unchecked confirmation bias, and Taco 6-like verbal harassments when we deeply disagree with people. We can come to terms with meaningful disagreements without making presumptions of guilt. We can critique each other intellectually and challenge people effectively without snidely suggesting that they are sexist, racist, anti-black, anti-feminist, or xenophobic. Fact is: All of us are biased. So before we discount what someone has to say because we think that they are biased or prejudiced, we should ask ourselves, as Socrates asked Plato, whose bias do we seek? 1) Do I blame Uncomfortable Learning for caving in to student pressure? No. It is a free country and the students involved have every right to make their own decisions. Having your friends (honestly!) think that you are encouraging “hate” is hard, especially when you hold campus positions (like JA) or hope to contribute more to the Williams community in the future, all the more so if all you really want to do is encourage discussion. 2) Adam Falk, rather than viewing this as a public relations annoyance — there are plenty of rich and political moderate alumni who don’t like the idea of Williams cancelling speakers (which did not happen here!) — could seize it as an opportunity, a chance to demonstrate that Williams is the most politically diverse and intellectually open of any elite college. 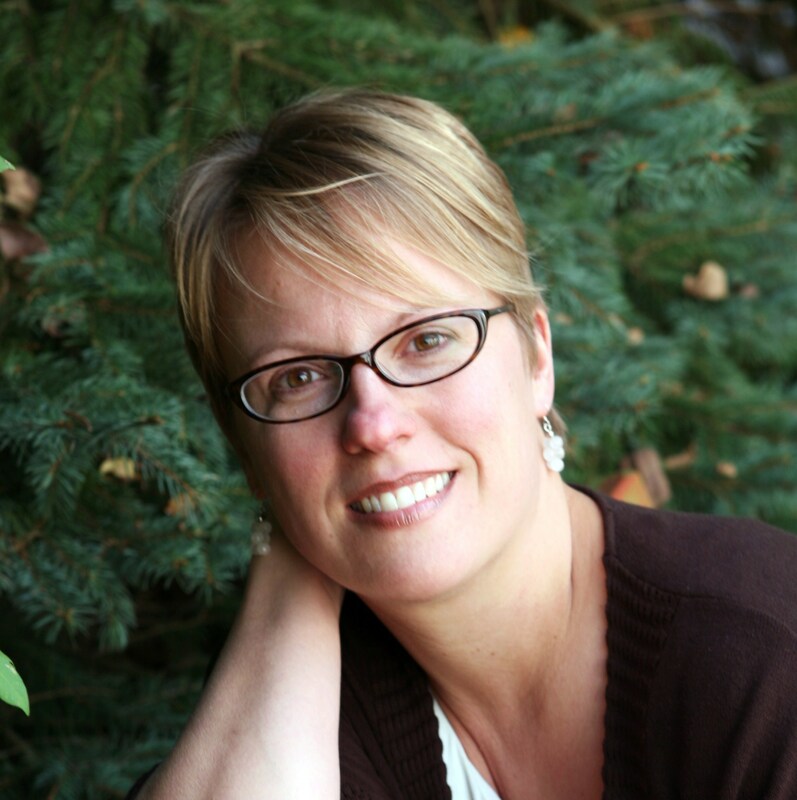 Invite Venker back, but in a debate forum, with her arguing over the merits of feminism with a prominent member of the faculty, perhaps Professor Katie Kent ’88. This would quiet the right-wing loons screeching censorship while generating much useful campus discussion. Even better would be to include students in the presentation, as in the Williams College Debate Union events a decade ago. 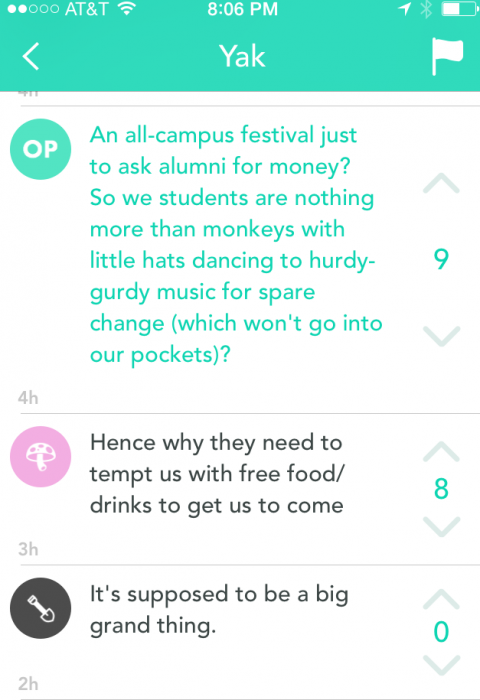 3) Wood ’18 makes reference to various Facebook threads. Are those public? Could some of our readers paste them into this comment thread (leaving out author names, if you like). Future historians will thank you! And our readers always enjoy reading the arguments of passionate Williams students. 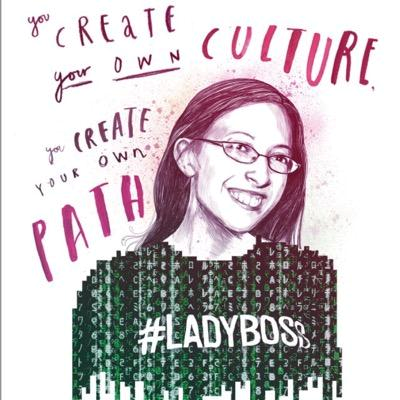 A recent EphBlog post reviewed “Lean Out,” the book by Elissa Shevinsky ’01 that is currently burnishing her reputation as one of the tech industries’ feminist thought leaders. Shevinsky’s career has taken her through stops around the world, including New York, Tel Aviv, and Silicon Valley, and she presently maintains an itinerant existence with a number of home bases. Since this is EphBlog, we’re as interested in her time at Williams as we are in where she is now, and one of her own essays in “Lean Out,” titled, “The Pipeline Isn’t the Problem,” delivers on that subject. It was 1997 and I was taking CSCI 105: “The Web: Technologies and Techniques,” the Computer Science department’s most introductory class. It seemed like a lightweight way for a humanities major like me to fulfill the college’s science requirement. Let’s hear it for divisional requirements — they’re not just how we turn biology majors into museum directors! Led by Professor Tom Murtagh, the class covered the architecture of the Internet, along with html and Java programming. My teaching assistants were nerdy white guys (who I totally admired) but the class was mostly gender balanced. In 1997 we didn’t know that programming was for boys. Computer Science 105 was more challenging than I had anticipated . . . I was so frustrated that a program could work on my machine and not work correctly on my website. At one point, the teaching assistant was confused as well! I’ve since learned that frustration is a basic part of software development. The best developers are persistent as well as smart, and simply don’t stop until the code works. Sometimes it takes days or weeks. At the time, I just thought that I didn’t have an aptitude for programming. But Professor Murtagh (aka “Tom”) was a warm and easy-going professor and the class was incredibly fun. With Professors Danyluk and Bruce, “Tom” would go on to publish the valuable “Java: An Eventful Approach,” an influential redesign of curriculum structure for teaching Java. Nerds were so uncool at Williams College that the section of campus where we lived was known as “The Odd Quad.” … We would get together on Wednesday nights for hot cocoa spiked with liquor, and play “Magic: The Gathering.” It was a gender balanced group. Actually, it was nearly equally men and women… My college memories are mostly of hanging out with this group of wonderful nerdy gamer coders. This included some college grads who were working at Tripod. I got internships and job offers everywhere that I applied, ultimately working for Ethan Zuckerman [’93]’s startup Geekcorps… I remember being offered a programming job at twenty-one. I would have had to drop out of school, which wasn’t that interesting to me at the time. I turned the job down. “I was definitely really new to making books,” praising her editor as incredibly helpful in turning out a polished final product. Still, she acknowledges, “I had an intuition for what would be a good book,” and reading “Lean Out,” it’s hard to resist crediting her (and her Williams education) for the result. Of course, Williams has “adjuncts,” as we already reviewed once here. But, for our slower readers, let’s go through it again. a professor employed by a college or university for a specific purpose or length of time and often part-time. The primary distinction in academia is between those professors who are either already tenured (a majority of the Williams faculty) and junior professors on the tenure track — sometimes this overall group gets labeled as TTT — on one hand and everyone else on the other. The term “adjunct,” as above, is generally applied to everyone who is not TTT. Of course, not all schools use the “adjunct” label, since it, more and more, has a bit of a stench. But whether such jobs are labelled “adjunct” or “lecturer” or “professor of practice” or whatever, the substantive meaning is always the same. You are an employee, hired with a fixed term contract which the college does not have to renew. Does Williams have adjuncts? Of course it does! Start with Winter Study. The official title for non-faculty members teaching a Winter Study is “Adjunct Instructor.” Given this fact, how can dcat deny that Williams has adjuncts? None of these teachers have tenure. None are on the tenure track. None have any more legal protections that professors that are officially labeled “adjunct” other institutions, or even than the Williams adjuncts who teach Winter Study classes. Is this a problem? Not at all! I have no problem with Williams (or other schools) using adjuncts/lecturers/whatever. I believe that, if anything, Williams probably treats its adjuncts/lecturers better than other schools treat theirs. Williams certainly has a much higher percentage of TTT faculty teaching its students than most other institutions. 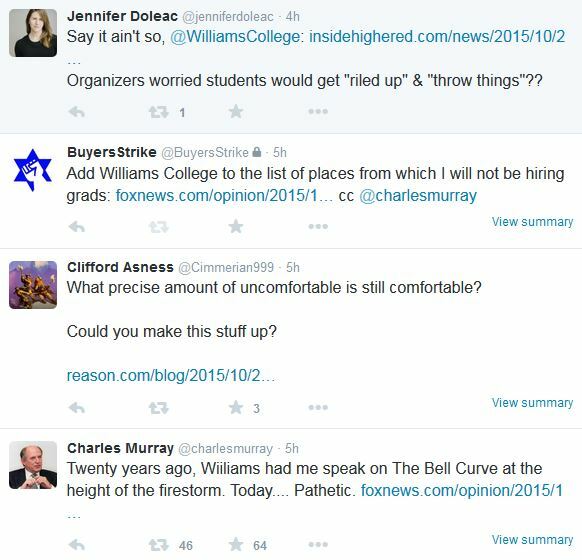 What I object to is the continuing refusal of people like dcat (and, from that prior thread, people like Adam Falk, Chad Orzel ’93, and crowther) to admit that Williams employs adjuncts. Put more baldly, this is obviously false. The only defense that people like dcat/Falk/Orzel/crowther might offer is a claim that, because Williams adjuncts/lectures are treated so nicely, they should be thought of in the same category as TTT faculty, rather than in the nasty category of “adjunct,” a term which should be reserved for the poorly treated part-timers at other, lesser, schools. Perhaps! But such a claim — that the status of Williams adjuncts/lecturers is, for most practical purposes, indistinguishable from the status of Williams TTT faculty — suggests that, even in a world in which Williams ended tenured, people like dcat would still be correct to claim that “Williams has no adjuncts.” At that seems crazy to me. Why do you think the college should so drastically increase its % of international students? If you want to be the best college in the world, you need to have the best students. And, until Google develops built in universal translators, this means the best English-fluent students. Some of those students will be born in Massachusetts, some in Shanghai and some in Sydney. Wherever they come from, Williams ought to find them, admit them and recruit them. Twenty years ago, this was much less of an issue because there were not that many very smart non-US applicants. Increasing the percentage of international students would have resulted in a decrease in average student quality. So, it was right and proper than Williams was 95% American. But the world has changed dramatically since then. There are now thousands of high quality international applicants, especially from places like China and South Korea. The reason that Williams is only 9% international today is because the College actively discriminates against non-American applicants. If the College were country-of-citizenship blind — in the same was that it is astrological-sign-blind — we would be at least 20% international today. More concretely, Williams should, in the class of 2020, get rid of the bottom 100 American students in terms academic rating (generally ARs of 2 and 3) and replace them with 100 International students, all of whom will have ARs of 1. Ask yourself: Why is Williams better than Connecticut College? It isn’t because our English professors are better than their English professor or our dining hall food is better than their dining hall food. It is because our students are, on average, smarter than their students. If you really want Williams to be the best College in the world, then your number one focus should be on improving the quality of the students, and then easiest way to do that is to end the quota against international admissions. A subject after EphBlog’s own heart! Whenever I read something about the glories of productivity, I wince. I am not productive. In fact, sometimes I waste entire days. I talk to people for hours, and not one thing from that conversation makes it into anything I am writing now — or will ever write in the future. I expend tons of emotional energy mustering up the nerve to call people who do not call me back. I work on stories that die a deserved death. Sometimes — may the gods of productivity forgive me — I even take an extended online shopping break because I’ve decided that my attempts to make sense of something are resulting in nonsense. I read things that have nothing to do with my work. I daydream. A lot. I’m not sure journalism is meant to be quantifiably productive. You need to call everyone … need to spend hours talking to people because it’s as important to understand what you don’t use and why you don’t use it as it is to understand what you do use… [and] be able to chase a story and be honest about the fact that it isn’t working… The best story is not necessarily the one that gets the most bang for the buck, at least if you think that “best” means something other than cheap click bait. I read McLean’s essay as somewhat tongue in cheek: even if the activity inputs she describes may not be directly productive, that doesn’t mean a writer’s output can’t be measured in some way. But it’s a good reminder: in the ideas business, the work of producing ideas is often orthogonal to the objective rather than linear. If you’ve never gone back to read your James Webb Young, put it on your reading list. Nice Record article about veterans at Williams. I was fortunate enough to speak with three veteran students – Jake Bingaman ’19, Calum Ferguson ’19 and Nils Horn ’19 – to learn about their experiences in the armed forces and at the College so far. The reporter, Emilia Maluf, should provide some more details, in addition to the human interest vignettes that she nicely describes. Second, what has been the trend in veterans admissions in the last 10 years or so? My sense is that there have often been international veterans, like Ferguson and Horn, on campus, but I don’t know the data. I also think that there has not been a US veteran on campus for years (Decades?) But it would be nice to get the facts straight. For most Ephs, the Haystack Monument carries nothing more than historic and aesthetic significance. 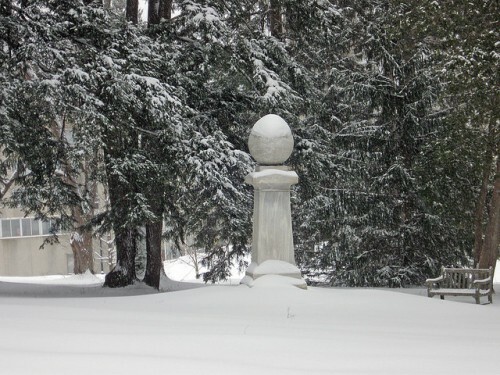 And it is those things: it serves as a picturesque stop on a snowy campus snowshoe tour and a reminder that Williams College attained national significance far before U.S. News began publishing college rankings, before Mark Hopkins became a renowned educator, even before Henry David Thoreau visited Greylock. But how many appreciate the Haystack Meeting and the Haystack Monument as a live religious symbol, an inspiration to millions of faithful Christians nationwide? We must remember that it really all goes back to the Haystack Prayer Meeting. After praying, these five young men sang a hymn together. It was then that Samuel Mills said loudly over the rain and the wind, “We can do this, if we will!” That moment changed those men forever. Many historians would tell you that all mission organizations trace their history back to the Haystack Prayer Meeting in some way. Yes, these men turned the world upside down. And it all began in a prayer meeting under a haystack. At the place where this meeting occurred, a monument stands today commemorating this historic God moment. At the top of that monument is the phrase, “THE FIELD IS THE WORLD.” Underneath those words is the following statement: “The Birthplace of American Foreign Missions. 1806.” It all happened from a prayer meeting. This reminds me of the words written in Acts 4:31: “When they had prayed, the place where they were assembled was shaken, and they were all filled with the Holy Spirit and began to speak God’s message with boldness.” Prayer, the power of God, evangelism, and missions all go together. We need to get ourselves back under the haystack! Over the rain, wind, lightning, and claps of thunder when Samuel Mills declared to the other four young men, “We can do this, if we will!” he saw something before anyone else saw it. He saw that THE FIELD IS THE WORLD. Before the awakenings and great movements of God in the past, many times God’s people have prayed as long as a decade or more before God moved mightily among the people. Therefore, I call upon us to return to the haystack! Sometimes we conduct ourselves like a bunch of theological Universalists who believe it will all work out okay for everyone. We must begin to believe in lostness again. People need the Gospel of Jesus Christ beginning in our own villages, towns, and cities. Our pastors need to be injected with a vision and strategy to reach their own villages, towns, and cities. According to missiologists, we live in a nation where three out of four people do not have a personal relationship with Christ. We live in a world with 7.275 billion people. Of these 7.275 billion people, just over 3 billion of these people are unreached. There is an additional 1.25 billion of these people who are engaged nominally. If we even come close to understanding the spiritual condition of our world and the need for the Gospel, we are facing a daunting challenge. This is why we need to return to the haystack and come out from underneath it with a renewed belief and commitment to the power of God. Without His power, the task is overwhelming. Without His power, our insufficiency is exposed to the world. With God’s power, we can reach America’s villages, towns, and cities. With God’s power, we can reach the world, penetrating the darkness of lostness globally. The field is the world… We can do this, if we will! Even — or perhaps especially — for those of us who rarely look at this Williams icon through a religious lens, Floyd’s reliance on the legendary encounter among Ephs and God is enlightening. Read the whole thing. Let’s spend three days discussing the College’s new fundraising campaign: Teach It Forward: The Campaign for Williams. The main webpage is here. Today is Day 3. This is either harmless pablum or a subtle sign that Adam Falk wishes he were president at a place like Johns Hopkins. 1) Professors who are selected, almost solely, on their ability to do research, and the desire to make such research the focal point of their professional lives. 2) Graduate students to assist in that research. Williams will never have those two things, nor should it. Now, of course, many Williams professors do research and much of that research is of high quality. But it is nowhere near as good as the research done at places like Harvard/Yale/Princeton/Stanford (or even Hopkins). Is anyone surprised by that? Any Williams professor who does research at the highest level is offered a job by a fancy research university and then vast majority accept that job offer. And that is OK! Williams is a liberal arts college, not a research university. Its only focus should be on the quality of the undergraduate experience, part of which will involve research with professors. But we don’t need to pretend that our professors are as good at doing research as university professors. Who cares?! What we want is for the undergraduate research experience at Williams to be as good as the undergraduate research experience at H/Y/P/S. On a lot of dimensions, this is already true and/or is a worthy goal. But that is not the same thing as “combining the best” of “large research universities” with all the wonderfulness that is Williams today. Is Falk just engaging in fundraising puffery? I hope so. But note that many faculty members have discussed with me Falk’s focus on the faculty over the last few years, his often expressed desire to raise tenure standards (especially when it comes to research output), to make the Williams faculty more like the Hopkins faculty. Is he hinting at that here? Perhaps. But most of my sources also claim that Falk has been singularly unsuccessful in these efforts, that departments — always jealous of their own prerogatives — have pushed back and only hired/promoted the same candidates as they always have. Let’s spend three days discussing the College’s new fundraising campaign: Teach It Forward: The Campaign for Williams. The main webpage is here. Today is Day 2. Williams will seek $150 million in endowment support for financial aid in the campaign—to ensure affordability for low- and middle-income students, as well for international students, and therein sustain the socioeconomic diversity of the student body. Financial aid is the campaign’s single largest fundraising priority. 1) This is good to see, but I have been burned before in (naively?) believing that international enrollment is a high priority for Falk/Williams. The single biggest decision that Williams faces is: How many international students to enroll? I think that, immediately, Williams should go to 15% and then quickly to 20%, with a probably long-term goal of 50%. [T]he difference between aid provided by Williams and its top liberal arts college peers and that provided by the top universities is hard to overcome. My child is a high school senior and realistic applicant to the top schools. Based on our income, Williams expects we can contribute roughly $38,000 toward college annually. We cannot. Harvard and Yale expect us to contribute slightly less than $20,000 per year – a stretch, but one we can make. I wish the difference in cost between Williams and Yale weren’t roughly $80,000 over the course of an undergraduate degree. Williams should match the financial aid offered to any admitted student who is also admitted by Harvard/Yale/Princeton/Stanford. High school seniors might very well choose HYPS over Williams, but they shouldn’t do so because of financial aid. Let’s spend three days discussing the College’s new fundraising campaign: Teach It Forward: The Campaign for Williams. The main webpage is here. Today is Day 1. 1) Thanks to Professor Manigault-Bryant for the link to the official announcement and for the heads up about the Teach It Forward slogan. I love it! Coming up with a good slogan is hard, so kudos to Williams for inventing such a great one. Teaching is the single Williams activity that connects us all. By the way, future historians will want to know who came up with the slogan. Who was it? Let us praise this Eph! In a campus-wide celebration uniting students, faculty, staff, alumni, and parents, Williams College tonight officially kicked off a multiyear campaign aimed at raising $650 million and engaging the entire Williams community in building the future of the college. Teach It Forward: The Campaign for Williams is believed to be the most ambitious campaign in the college’s 222-year history and the most ambitious campaign in the history of liberal arts colleges. Following a three-year quiet phase of planning and fundraising, the college has secured $374 million in commitments toward its overall goal, and fully 66 percent of alumni have already engaged in some aspect of the campaign, whether through philanthropic support, volunteerism, or participation in campus or regional alumni events. Kudos to EphAlum for almost guessing the campaign target of $650 million. Can anyone tell us about recent campaigns at places like Amherst, Swarthmore and Pomona? I am glad that Williams is trying to raise (and likely to succeed in raising) so much, but my sense is that this is not much more than other similar campaigns. The 66% figure is a bit of a scam. About 60% of alums give in a given year and, over a three year period (because all givers do not give every year) , the number is around 66%. But that figure would be similar in any three year period, regardless of the existence of the campaign. 1) Will this campaign have a catchy slogan or theme? Last time the name was simply the “Williams Campaign,” although there might also have been some “Climb High” branding. I suspect something similarly anodyne this time round. Not that there is anything wrong with that! 2) What will the target amount be? At the low end, I have heard $600 million, which would be 50% more than last time. At the high end, a knowledgeable alum (with no inside info) was certain it would be $1 billion, both because this was an eye-catching target and because it was more than any other liberal arts college, which would be appropriate for an institution of Williams stature. My guess is $1 billion. 3) The Campaign takes place in two stages. The first, going on for the last few years, is the “quiet” phase, during which major gifts are solicited from mega-wealthy donors. At least 1/2, and up to 2/3, of the total money has already been raised. Tonight marks the kick-off of the “public” phase. 4) There is a large fat tail in fundraising, at Williams and elsewhere. Although the College will try to get every alumni (and parent!) to give, the vast majority of the money will be raised by the 500 or so biggest donors, with a disproportionate share coming from the top 5 or 10. Isn’t it unusual to engage students so deeply in the capital campaign? I certainly don’t recall this from the distant past, nor from the last go-around a decade ago. Typically (and appropriately) the students have no idea what the College’s fundraising machinery is doing. And that is OK! The OP here, however, is quite clueless. He is surrounded by educational and facility luxuries of every kind. Does he think stuff comes from heaven? Is he so naive as to believe that, even if he is a full pay student, his tuition dollars cover anywhere near the cost of what he consumes? Perhaps. Fortunately, EphBlog is here to educate him! Elite liberal arts colleges cost big money. Unless you want to double tuition, you need to raise lots of money from rich alumni. So, dance, you ungrateful little monkey! Dance! 1) Thanks to Professor Manigault-Bryant and the other campus Ephs who tweet! Always fun to see/read pictures/descriptions of campus events. 2) There has never (?) been anything like this at the start of a Williams campaign. Last time, I think that the kick-off event was a dinner, for major donors and a few selected students/faculty, at Mount Hope. Good idea? I don’t know. At least there shouldn’t be any rain . . .
3) Looks like #WilliamsCampaign is the official hashtag. Comments Off on Dance, Monkeys, Dance! EphBlog is powered by WordPress and delivered to you in 1.289 seconds using 50 queries..